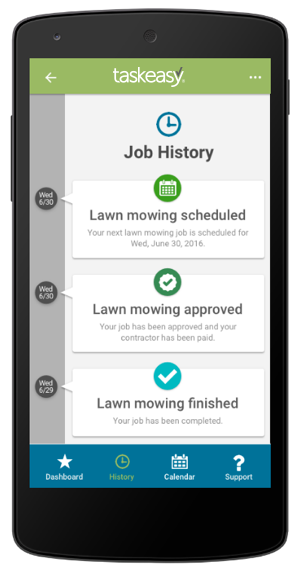 The most trusted app for lawn care services nationwide. Are you a TaskEasy Contractor? Get the TaskEasy App for Contractors here. 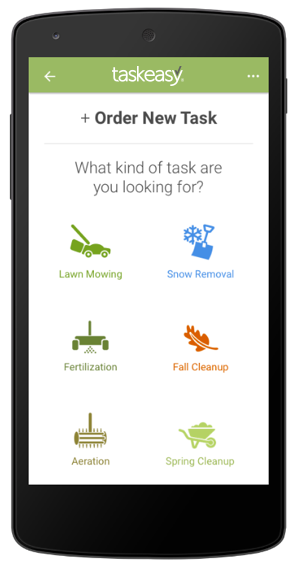 Easily order exterior home services, such as lawn mowing, fertilization, and aeration from your phone. Customize each service by choosing from multiple service plans, frequency, and scheduling options. 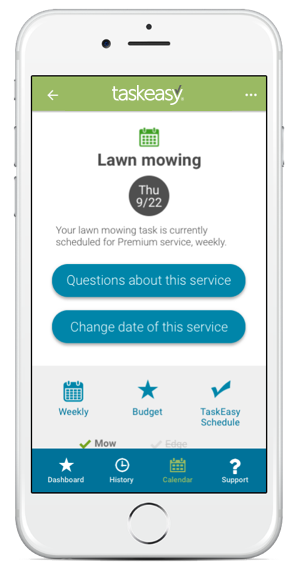 With the ability to view, edit, and skip upcoming tasks, managing home services has never been easier. See the schedule for all upcoming tasks. Make changes to your task’s service plan, frequency, and schedule, right from your phone. Or simply skip an upcoming service for any recurring task. TaskEasy stands behind our quality guarantee. That’s why after each service you will receive a notification prompting you to approve and rate the work performed. You will also be provided with before & after photos of each service, making it easy to approve work while on-the-go.